Let’s get this straight correct. 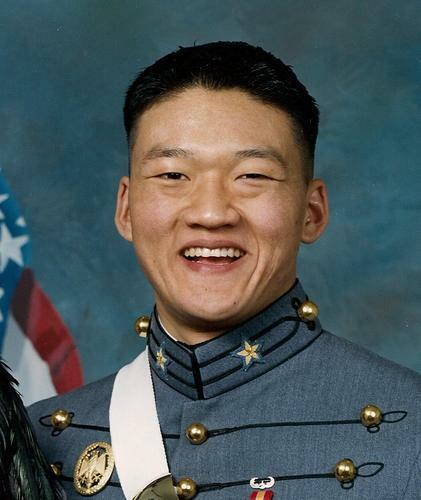 Lt. Dan Choi was discharged from the United States Armed Forces against his will for being gay, and now the Department of Defense wants him to pay THEM? Choi has smartly taken to Twitter to publicize the absolutely discriminatory repercussions he continues to face for simply being gay in America. Choi’s letter skims across the issue of the Log Cabin Republican’s DADT case, without stating matters explicitly. Here’s the thing: If Congress overturns DADT (which it has, but has yet put into action), then the military simply begins enforcing new procedures by allowing gays to serve openly. However, if DADT is declared unconstitutional in a lawsuit outside of the congressional act, then the military can be held financially responsible for the discharge of thousands of gay soldiers. It’s a common practice today for the military to refuse to pay gay soldiers’ college tuition as contractually obligated, citing their dishonorable discharge as proof that the soldier failed to live up to their end of the bargain. This happens over and over again. This is happening to my very best friend in the world, a former Air Force tech. He was discharged against his wishes for being gay, and now the government refuses to pay all but a fraction of his GI Bill, i.e. his college tuition. It’s unfair. It’s unconstitutional. It’s unkind. Hopefully Choi’s refusal to be placated will bring attention to this issue plaguing so many gay service members. We’re with you, Dan. Dear Mr. President: Today I received a $2,500 bill from your Defense Department Finance and Debt Services. Specifically, you claim payment for “the unearned portion” of my Army contract. Six months after my discharge under the Don’t Ask Don’t Tell policy I have tried to move forward with my life, and I was inspired by your clarion calls for our progress as one nation towards a more just society. I have served my country in combat and I have tried to live my life by the values I learned at West Point in continued service to our nation. To move forward in my own life I have finally sought treatment for Combat Post Traumatic Stress Disorder (PTSD), Military Sexual Trauma (MST), Insomnia, and Depressive Disorder from the Veterans Affairs Department. But I still find myself on a domestic battlefield for basic dignity as an American citizen. I know I am not alone in this fight because of the desperate cries for help I get from discharged, unemployed, discriminated, and suicidal veterans. I have felt all of their same pains personally. Today I also witness the disgrace of a country that perpetually discovers methods to punish its own citizens for taking a moral stand. By flagrantly and repeatedly violating an immoral law, I have flagrantly and repeatedly saluted the honor of America’s promise. At West Point, when we recited the Cadet Prayer we reminded ourselves “always to choose the harder right over the easier wrong.” It would be easy to pay the $2500 bill and be swiftly done with this diseased chapter of my life, where I sinfully deceived and tolerated self-hatred under Don’t Ask Don’t Tell. Many thousands have wrestled with their responsibilities and expedient solutions when confronted with issues of this magnitude. I understand you also wrestle with issues of our equality. But I choose to cease wrestling, to cease the excuses, to cease the philosophical grandstanding and ethical gymnastics of political expediency in the face of moral duty. My obligations to take a stand, knowing all the continued consequences of my violations, are clear. I refuse to pay your claim. You can check out Choi’s correspondence and bills from the army HERE.